Here is a very good article on creative flow from an angle from which you may not be aware. Enjoy. A new study has shown evidence that creativity is boosted by an intervention of bi-lateral eye movement designed to increase hemispheric cross-talk. Some of you may be familiar with the use of Eye Movement Desensitization Reprocessing (EMDR) which also uses bi-lateral eye movements. This article from the Research Digest blog of the British Psychological Society discusses eye movements for increasing creativity. Interestingly, the outcomes are affected by which hand is the stronger- as in right- or left-handed. 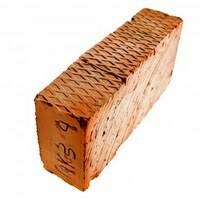 Are you wondering why the picture is of a brick for this post? So did I when I saw the original. The article will reveal all. "For me the world of my imagination is always closer to the truth than is the truth." "If I wander around the world looking at things, it is only to reassure myself that the world I have invented is true." Every issue of Life Magazine until the end of 1972 is available on Google Books for free. I did a search there for imagination and found this entry: From the July 30, 1971 issue of Life is an article by Dora Jane Hamblin on Frederico Fellini , the great Italian movie director. This piece is about the creation of his made-for-tv film, The Clowns. If you are familiar with his films you know how imaginative they are- perhaps some of the best examples of imagination in filmmaking. 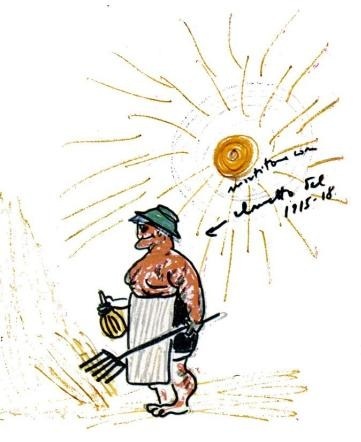 The Life magazine article has sketches made by Fellini as studies for this film. Apparently, Fellini was greatly influenced the Jungian analyst Dr. Ernst Bernhard and by the autobiography of Carl Jung, Memories, Dreams, Reflections . It seems that some of Jung's ideas influenced some of his important films– 81/2 (1963), Juliet of the Spirits (1965), Satyricon (1969), Casanova (1976), and City of Women (1980).